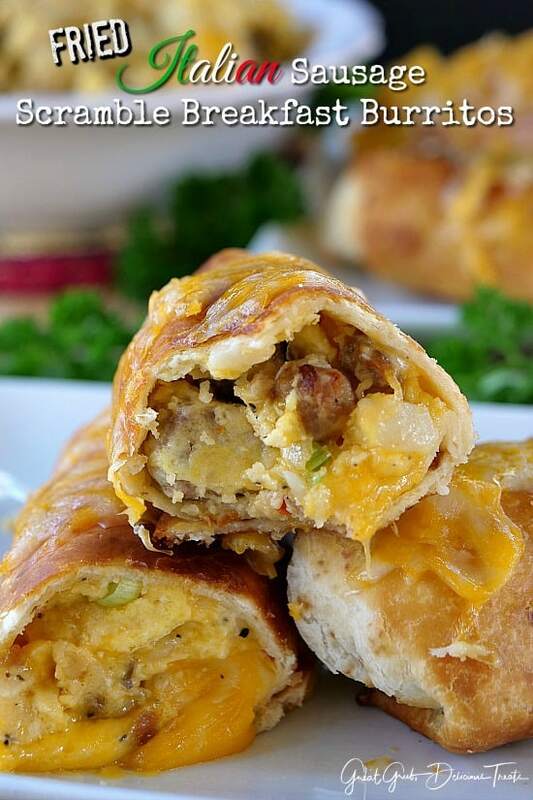 These fried Italian sausage scramble breakfast burritos are loaded with Italian sausage, potatoes, eggs and gobs of cheese and are perfect when breakfast needs to be eaten on the go. 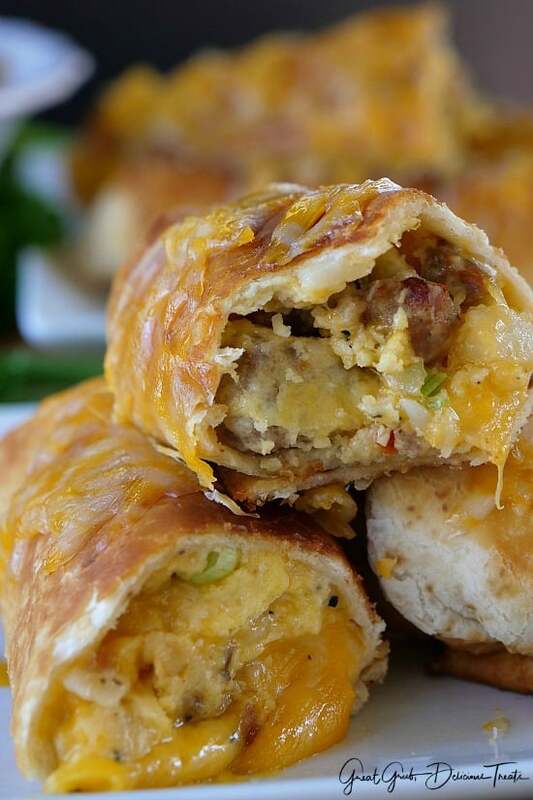 Plus, these breakfast burritos are super easy to make and will be gobbled up in no time. 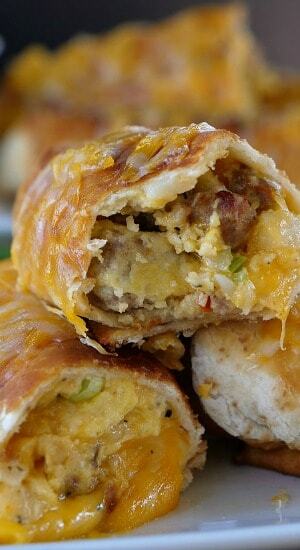 Imagine biting into the crispy tortilla, and then tasting the various delicious flavors of the sausage, potatoes and fluffy eggs. Super delish! 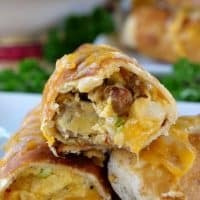 Heat up each tortilla on the stove, add a couple spoonfuls of sausage/egg mixture into the center of each tortilla, roll up and place into another frying pan. Fry until golden brown on both sides. 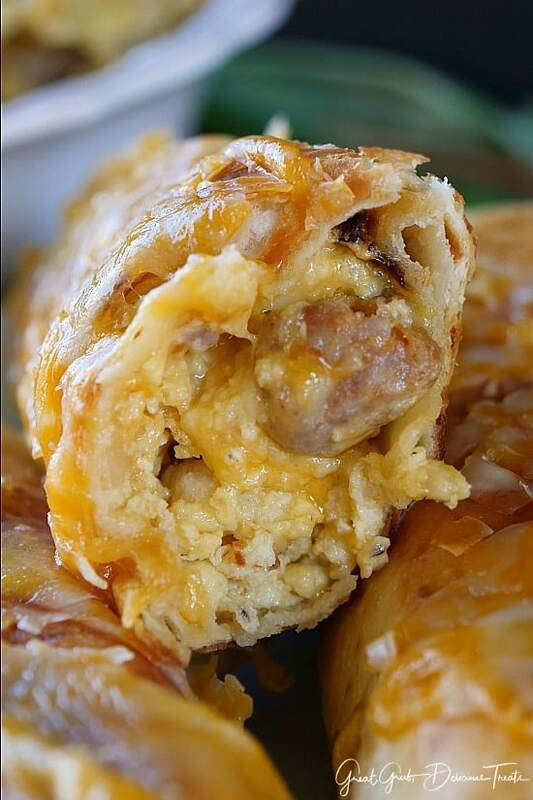 Top with additional cheese and enjoy! Just look at that cheese! Like I always say, you can never have too much cheese. 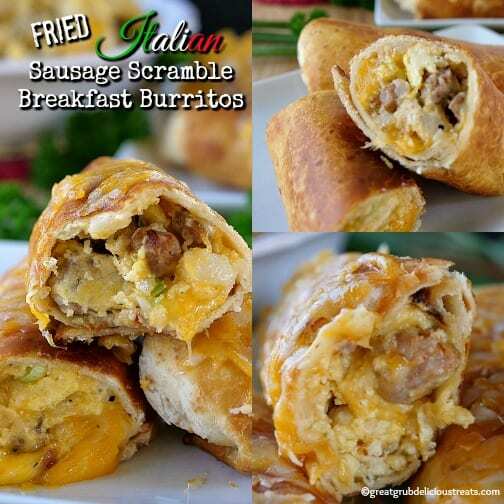 So, if you are wanting to try something different for breakfast, you are going to love these fried Italian sausage scrambled breakfast burritos. 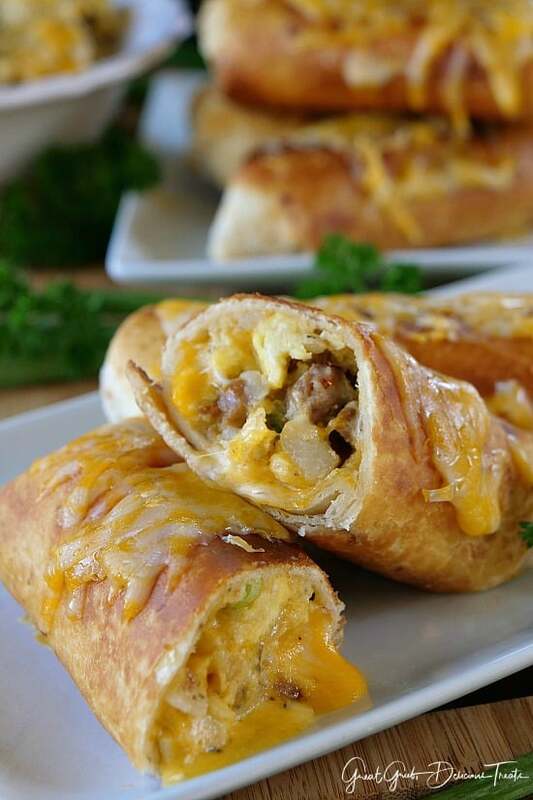 And if you’d like a few more delicious breakfast recipes, you can find these on the blog as well: Apple Pecan French Toast, Vegan Banana Nut Muffins, Santa Fe Breakfast Croissants, or how about a tasty Black Bean Mexican Omelette. Turn off heat, add cheese to melt then top with sliced green onions. In another frying pan, heat oil over low/medium flame. 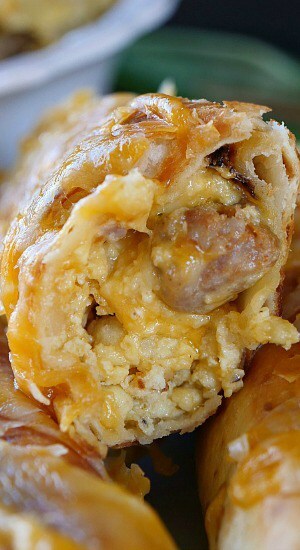 Heat up each tortilla on the stove over low flame and then spoon scrambled egg/sausage mixture to the middle of each one, roll up and place into the hot oil. Remove from pan and place on plate lined with paper towels.